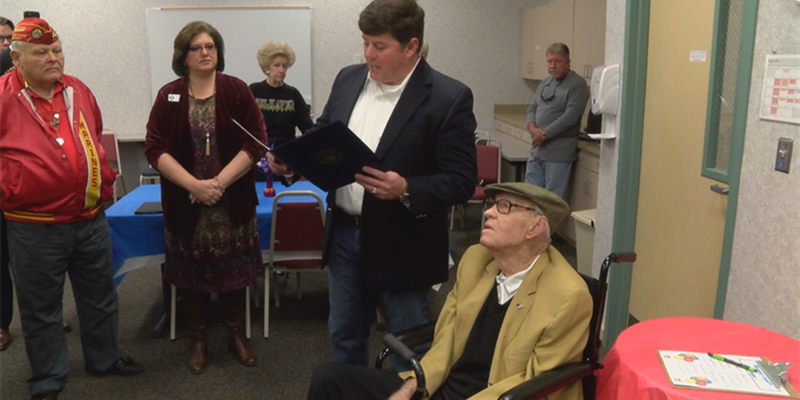 HATTIESBURG, MS (WDAM) - A Hattiesburg veteran who flew military transports for more than 20 years celebrated his 100th birthday Thursday at Forrest General Hospital's LiveWell Center. Henry Pope Huff, Sr. was born on Jan. 25, 1918 and served in the U.S. Marine Corps from 1941-1964. He is a frequent visitor to the LiveWell facility, so staff and therapists there decided to throw a party for him. "I say enjoy living, enjoy your age, enjoy your friends, and never give up being happy, that's my whole philosophy," Huff said. Among those attending were members of the local Marine Corps League and 4th District Mississippi Congressman Steven Palazzo, who presented Huff a resolution from Congress recognizing him for his service to the nation.